It’s can be fun when you have the opportunity to shop for something sensational with someone else’s checkbook. Recently I had the opportunity to bless a number of people, and all it cost me was gas. 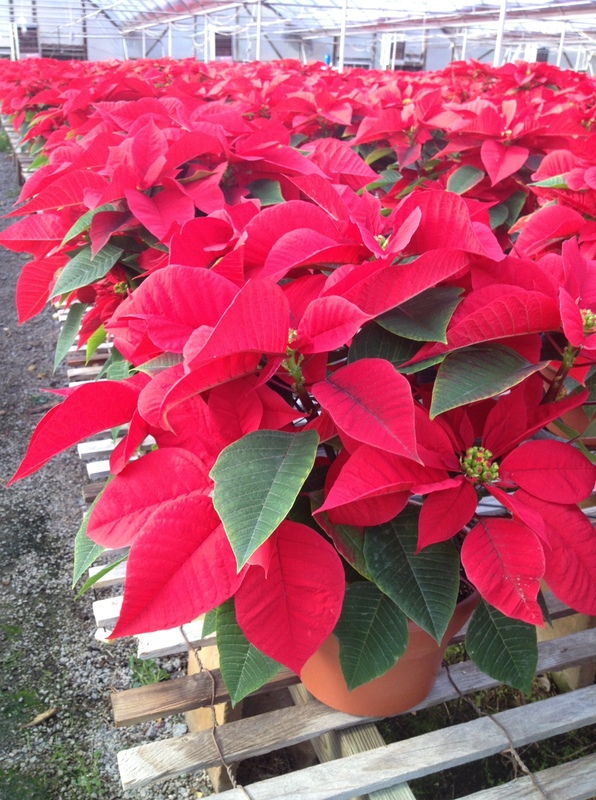 If you have been following this blog, you are likely well aware that we have been selling poinsettias from Sanderlin’s Greenhouse to fund my son-in-law’s upcoming kidney/pancreas transplant. It’s not over until the last poinsettia is out of the door. Sanderlin’s delivered the third truckload of poinsettias to my house Monday morning so we could deliver to businesses fresh from the greenhouse. I wish I had taken a picture of my dining room that day. And my living room. And my kitchen. They were all filled with poinsettias. Fortunately they were and are incredibly beautiful, so it wasn’t a bother. Except when the grandchildren went crawling between them. Apparently having poinsettias on the floor all around the dining room table makes it like a cool tent under the table. The grandkids love a tent. Though I didn’t take pictures Monday, I did take some pictures on delivery day Saturday. 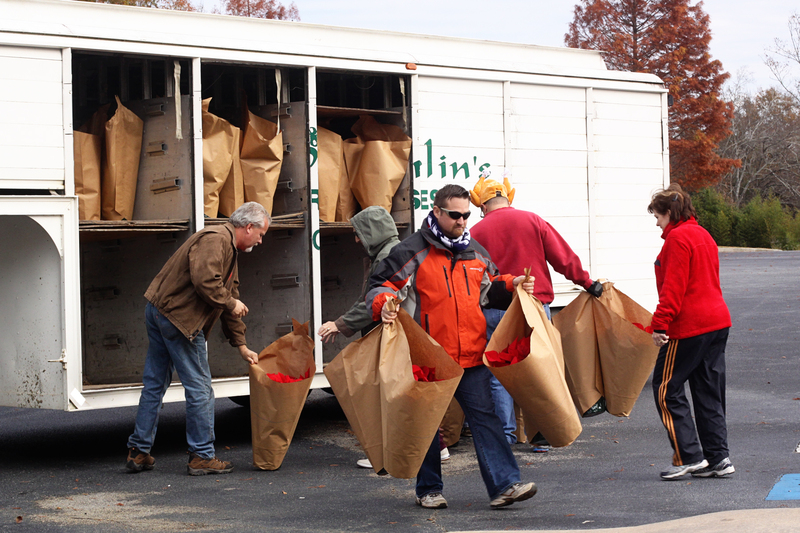 Eddy from Sanderlin’s Greenhouse delivered two truckloads of poinsettias on Saturday. That’s Eddy on the left in the picture below. As I type this, I realize that there are only 35 days until Christmas. I even taught myself to embed a widget in this blog so you could follow along! While we have had some chilly days here in Georgia, yesterday I turned on the air conditioner in my home to alleviate the 84 degree heat outside. Doesn’t seem like Christmas is coming, does it? Yet, like a train barreling down the tracks, Christmas is coming. Thirty-five sleeps. Or, is it thirty-four?